I know smoking is very harmful to our health, but if I said beautiful woman with cigarette doesn’t look attractive I would be hypocrite. Gloria Swanson is wearing finger cigarette ring in Sunset Blvd. 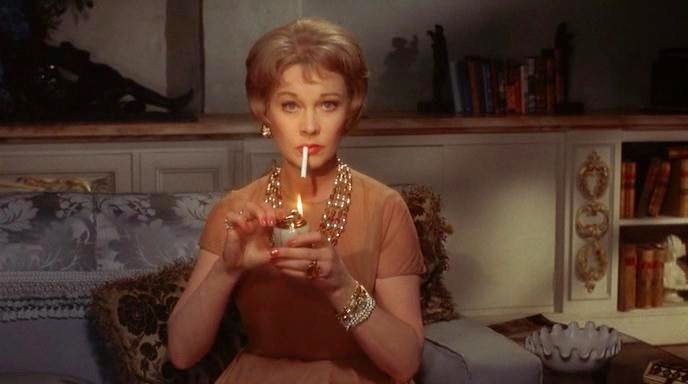 Vivien Leigh is holding table lighter in The Roman Spring of Mrs. Stone. By the way table lighter is a very stylish piece of home decoration. Lady with pipe looks striking too. Very talented and very stylish Russian actress Alla Demidova as Laura Lyons in The Hound of the Baskervilles episode in Soviet Sherlock Holms TV series. Black Tie Jacquard Sleevless Dress, New Look, handmade of Swarovski Crystals Geo Cube Earrings red-pink and Geo Cube Bracelet red-haematite by German jewellery brand Coeur De Lion, The Zurich coral bag (handcrafted as well) by British brand Milli Millu and Dulce red pumps, Jeffrey Campbell suit each other perfectly, I suppose. 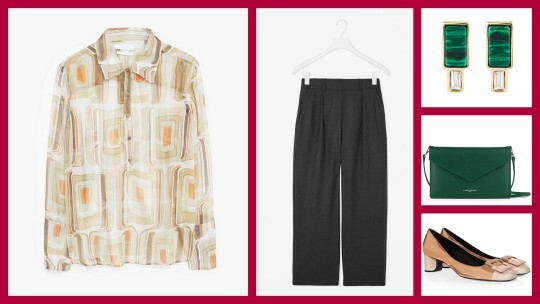 Premium – Printed Silk Shirt, Mango + High-Waist Pleated Trousers, COS,Empire Earrings, Capwell, Clutch Air 8’ Fir Green, Lancaster Paris + U-Look Pumps In Leather by legendary French brand Roger Vivier. 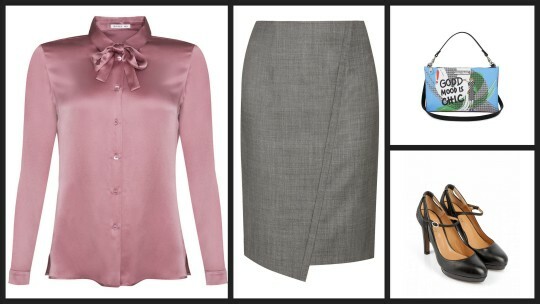 Arcadia Braid Swing Top (made of pure silk, by the way) + Rhythm High Waisted Pants + Tie Mary Jane shoes, all by Australian label Zimmermann would look pretty well with Pink Tones Mix Vegetable Ivori Statement Necklace by LeJu and Sullivan Hobo bag by Rag & Bone. They say each and every Russian girl drinks a glass of vodka every day and has a fur hat. Well that’s not true: Russian girls drink vodka every hour an have 7 fur hats for each day of the week. So there is no wonder Julie Christie wore these accessories portraying Russian femme fatal Lara in Doctor Zhivago. Western girls like fur hats too. Jessie J teams it with PVC coat (in my opinion fur hat would look better with wool). 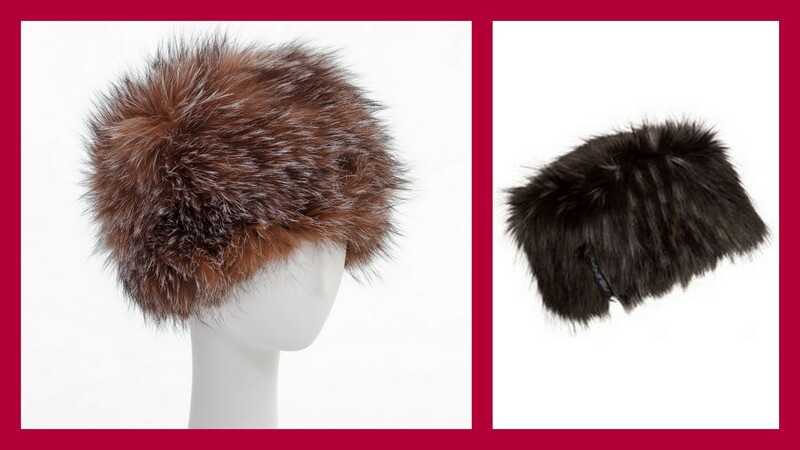 If Jylie and Jessie have inspired you to try on a fur hat, you can go for Fox Fur Knit Stretch Beanie Hat by Surell. 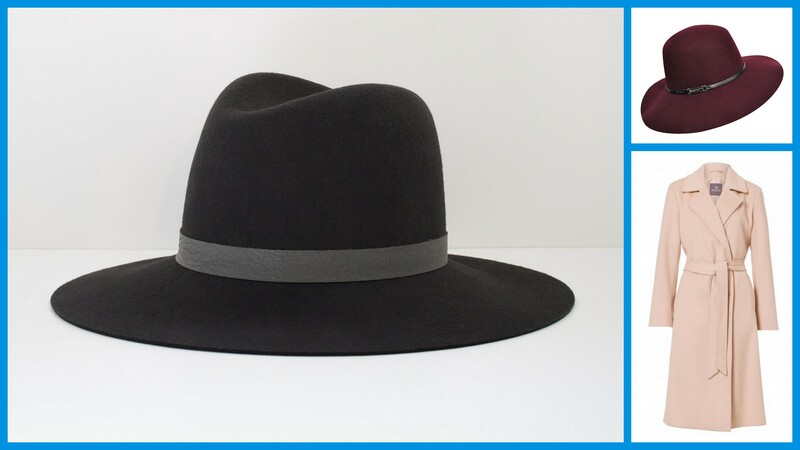 And if you support PETA and can’t stand real fur here is made from faux fur Murmansky Cossack Hat by Ruby+ Ed.